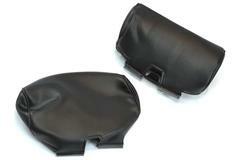 Are your 1994-2004 Mustang seats worn, torn, faded, or ripped? 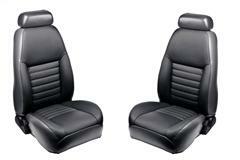 Get them looking like new again with replacement seats and upholstery from LatemodelRestoration.com! 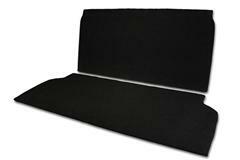 Our direct replacement upholstery is offered with the correct seat foam and in most factory colors. 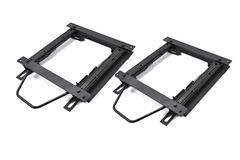 We also carry a full line of seat accessories such as seat tracks, headrests, seat belts, harnesses, rear seat deletes, and all of the necessary hardware to get it all installed. 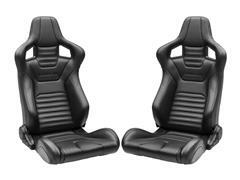 Looking for Mustang racing seats? 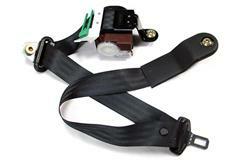 We have you covered with a wide selection of Corbeau racing seats and harnesses. 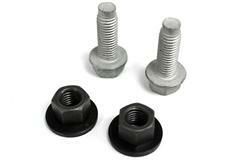 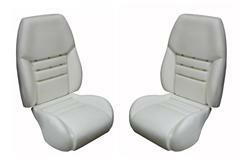 Get your worn out Mustang seats replaced or repaired with high quality parts from Latemodel Restoration!